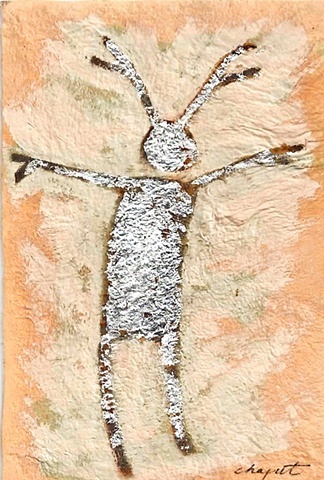 This small (4"x6") work was created for the A.I.R. Gallery's Wish You Were Here 9 2010 benefit postcard show. Mixed media with silver on leather, mounted on 4"x6" Strathmore Watercolor 140 Lb cold press paper.